There comes a time when the past must be shed to wave in the new. There comes a time where in order to reach your limits, you must dive head first into the unknown and submit to the journey. That moment is now. 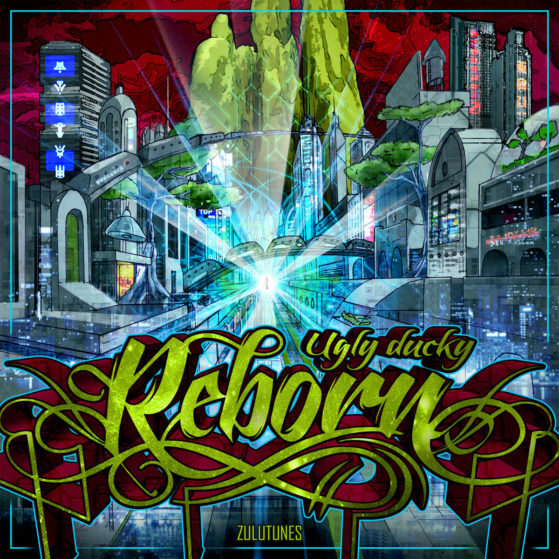 We proudly present to you Ugly Ducky’s debut album “Reborn”. Strap in for a journey into the depths of musical mayhem and pinpoint-precise patterns. This is a journey of relentless climbs, unexpected twists and blinding dives. Expect a story of emotional string-pulling and epic climaxes that is sure to surprise and satisfy any fan of the Hi-Tech genre. Ugly Ducky is the project of the artist formally known as “Nammah Ohm”. Composed and produced by Ugly Ducky and friends / Mixed by Ugly Ducky / Mastering by Dugguh @ Sonic Weaponry / All copyrights reserved 2016 / Artwork By Doctor Bops / Support Underground!